A couple of weeks ago, I frantically roused Ricky from the Sunday nap he was enjoying with the news that we had to go RIGHT NOW to get a Home Depot rental truck and drive to Greeley (half an hour away) in order to purchase a $50 dresser. In case you didn’t know, that’s what life with me looks like. Life with me also includes surprises such as me picking you up for “lunch” only to arrive with an unexpected new (old) Pomeranian in the front seat of the car. 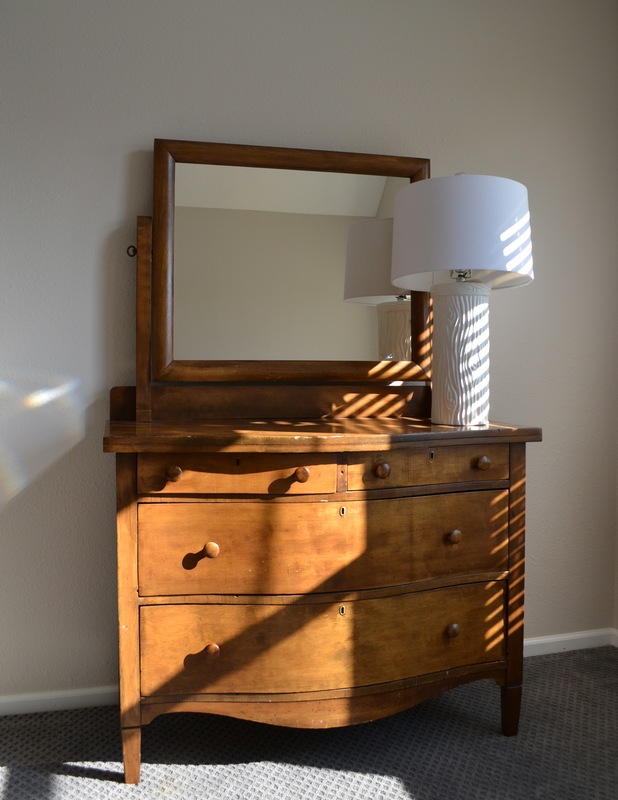 By the time we got there, the sellers had been entertaining an hour of nearly constant phone calls and increasingly aggressive offers to take the dresser immediately, for $75 or $100. They were good natured about the whole thing—taking another offer after they said I could have it “wouldn’t be right.” It’s funny how these little exchanges can be so affirmative. The sellers also promptly identified Ricky’s origins “back East,” which amused me. 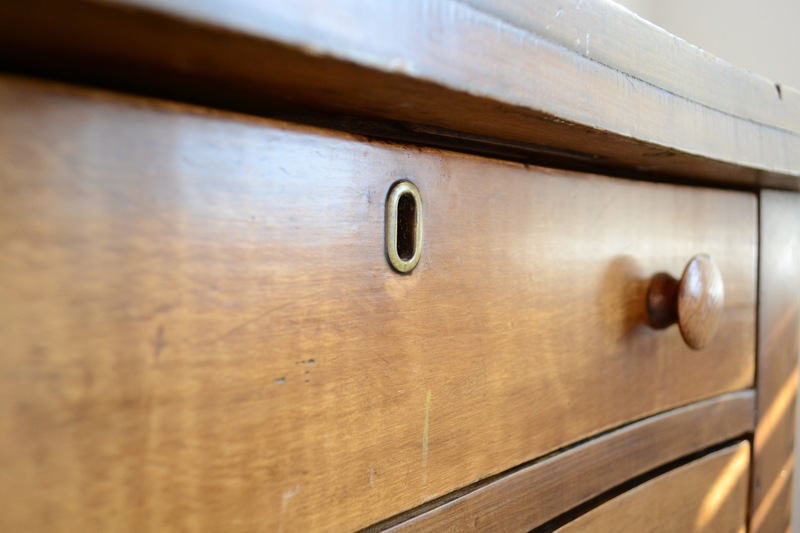 I love the little brass keyholes (with no key, though I think there was one once). Our new (old) Craigslist dresser is kind of the aesthetic kin of the Craigslist buffet—which, by the way, I am definitely not going to paint. I think that I was more attracted to painted furniture in Madison because the house had wood floors and wood trim in various competing finishes, so every new bit of wood seemed to make things even busier. Here, things are white and gray and Pergo—these warmer, older tones seem so much lovelier and more necessary.